CTA Acoustics’ in-house testing laboratories are unmatched in the industry. 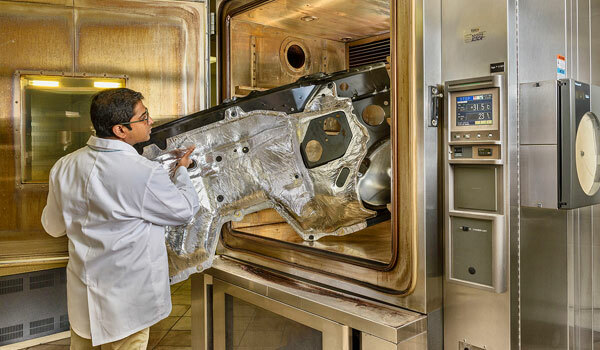 Our materials and acoustics testing capabilities support product development, production and quality. We’re able to obtain engineering and development feedback in real-time, allowing for accelerated timelines and a superior process for conducting trials and tests. 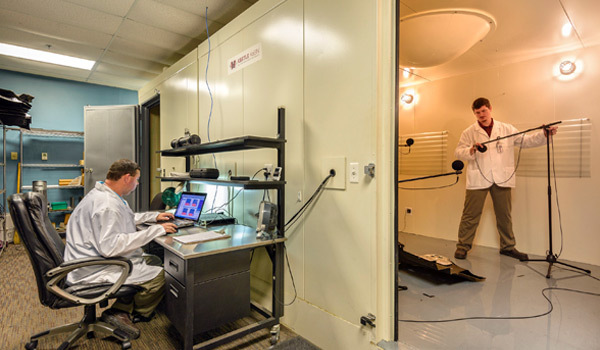 CTA Acoustics is also one of a few manufacturers of automotive thermal and acoustical insulators that operates an in-house reverberation room and sound transmission-loss suite. Designed, installed and certified by Kolano and Saha Engineers, this acoustic lab is supported by sophisticated equipment and software.